Scoop necks. Think about it. 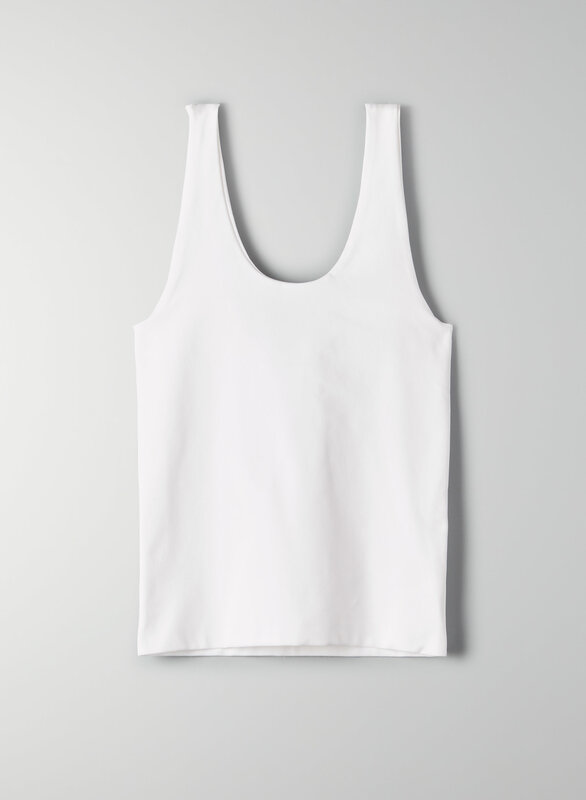 This tank has a scoop neckline and a deep scoop back. It's made with a stretchy, seamless fabric that holds you in.